Manchester United becomes one of the richest football clubs in the world. Club generates biggest revenue in history of football. Top players of football they have signed from the clubs during summer transfer window 2017. Jose Mourinho is currently leading the team as a manager. In just one year under his management Manchester United won the Europa League title and EFL Cup in 2016-17 season. In current squad Lukaku and Pogba highest paid players. 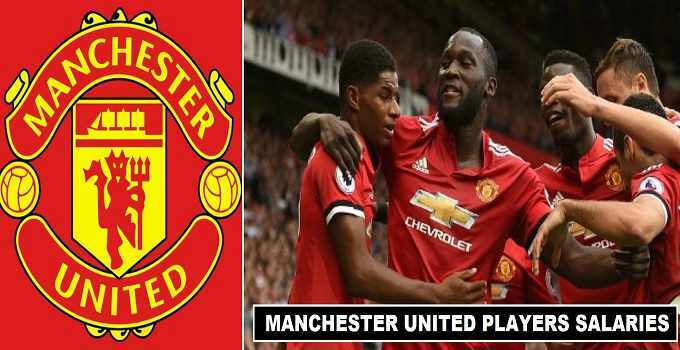 Manchester United were hopeful to win the Premier League season 2017-18. New signing which include (Victor Lindelöf, Nemanja Matić, and Romelu Lukaku) strengthen more squad. Manchester United spend big money in the transfer window and bring players that were will cover the space where team is weaken in season 2016-17. Manchester United generate revenue of (£615 million) in premier league season 2016-17. The wage budget becomes bit bigger after bringing more players to clubs. Currently Manchester United wage budget is (£232 million) which will be exceed as club is looking to bring more players in upcoming winter transfer of 2018 in January. Jose Mourinho is currently the second highest paid manager in premier league with annual earnings (£13.8 Million). His per match salary considered to be (£250,000). He signed three years contract with club after getting extension last year.